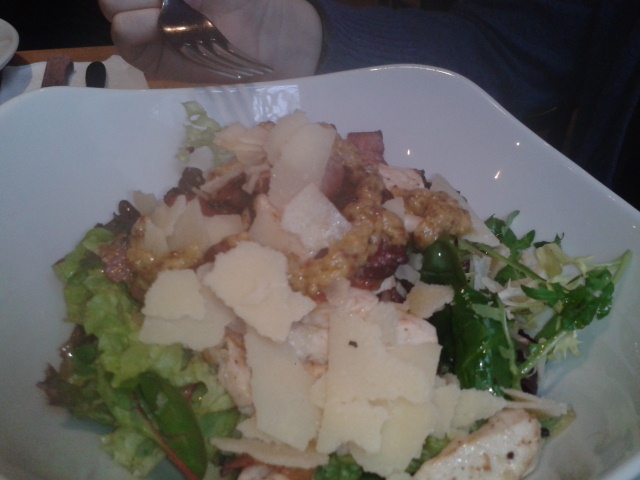 Whenever my parents come to visit me in Leeds, I always try to find a new restaurant or cafe for us to have lunch in. Naturally, favourites have formed with their visits, so finding a new spot for has become a bit of a challenge for me. For their latest visit, I found Franco's, situated in The Light. I chose one of the specials, which just happened to be a slow-cooked belly of pork (one of my favourite meat dishes). I accompanied this with the pizza croccante, delicious and crispy pizza-bread smothered in garlic. 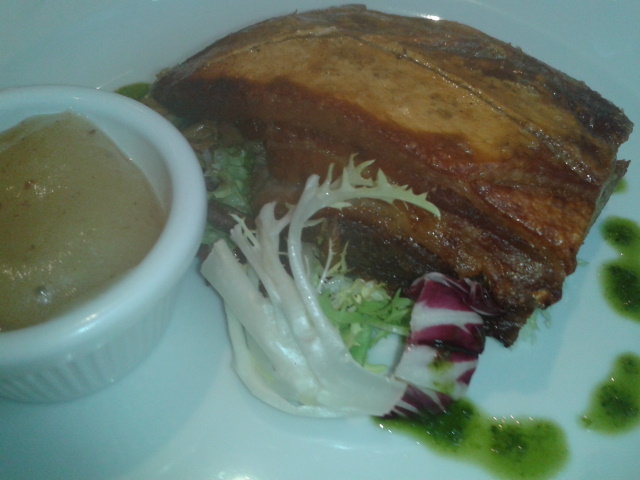 The crackling on the pork belly was absolutely superb, and it came with a generous helping of apple sauce. In chain Italian restaurants, the meat dishes found in Italian cuisine are often neglected in favour of pizzas and family-friendly food. I was happy to see that there was no shortage of meat dishes on the menu at Franco's, and better still, completely impressed with the diversity of the menu. 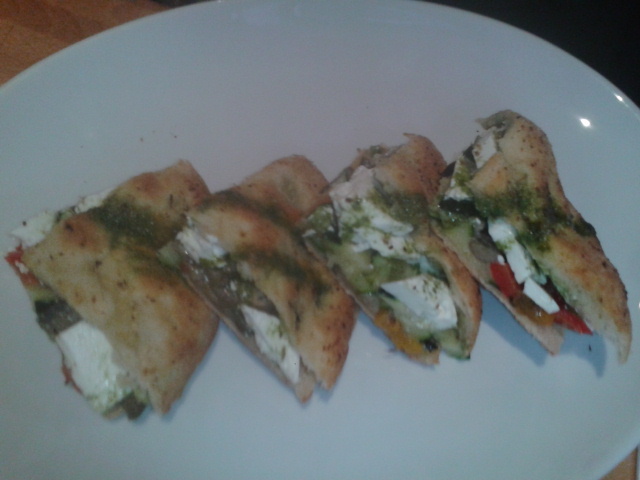 My Dad chose the focaccine, filled with vegetables and feta. The focaccine sandwiches are made of crispy pizza bread, and are a fresh take on the panini. Mum commented that her salad was quite dry, which I thought was a shame considering that the rest of the food had been so good. Despite this, the rest of the menu looked so tempting that it was a shame we couldn't order all of the dishes! Franco's has stayed very loyal to traditional Italian cuisine, but isn't afraid to put their own twist into the food. If you want a quick lunch break, Franco's also have a special lunchtime menu. This included mini pizzas, baguettes and pasta for a quick and nutritious meal. If you work in the city centre, it may be worth reclaiming your lunch break and trying out this menu! While the salads may not be up to the standard I've experienced in other restaurants, the bread-based dishes at Franco's are really the highlights on the menu. If you love Italian food but want something new, Franco's will definitely tickle your fancy.